Nigerian Air Force (NAF) Millitary/Comprehensive/Secondary/Girls’/Primary Schools. 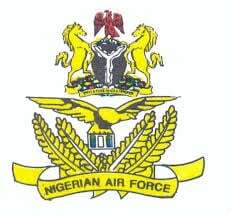 Below are the list of Air Force Military, Secondary and Primary Schools nationwide. The Nigerian Air Force (NAF) conceived the idea to establish an Educational cell in the early 70s when it realized the need to provide continuous education for its personnel and their dependants. However, in November 1975, NAF established the department of Education and annexed it under the Directorate of Administration. The department operated until the implementation of the NAF Establishment from 1981–1985 in which the Directorate of Education (DOEDN) was established with effect from 6 June 1984. Nigerian Air Force Military & Secondary Schools. SEE ALSO: How to Apply for Admission into Nigerian Air Force (NAF) Military & Secondary Schools. I went to Nigeria air force primary school Maiduguri, to buy scratch card and I was told that the scratch card is not yet out, what can I do now because the closing date is on 24/April/2019?